The turbulences at 32,000 feet fail to distract me as I reminisce of the lovely friends in Japan that I am sadly leaving behind. Sir, would you like the shrimp or beef? asks the slightly plump stewardess of Delta airlines. I reply 'Shrimp please'. The stewardess eyes widen. I quickly take off my earphones and I realize that I might have said 'Shrimp please' a tad bit too passionately loud. 'Would you like something to drink Sir?' asks the stewardess as she prepares the food tray. Embarrassed, I whisper 'Just juice… thank you'. As I sip my juice gently, I am thankful for the support from the Media Development Authority and Sintok to make my trip to the festival possible. Without them, I would probably be sipping juice on my bed in the closest thing to being in Japan – in my Uniqlo boxers at midnight while humming to Automatic by Utada Hikaru. 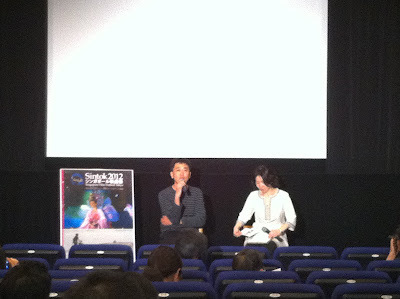 The Singapore Film Festival Tokyo 2012 or Sintok for short took place at the Cinemart-Roppongi in Tokyo from the 12th to the 20th of May. 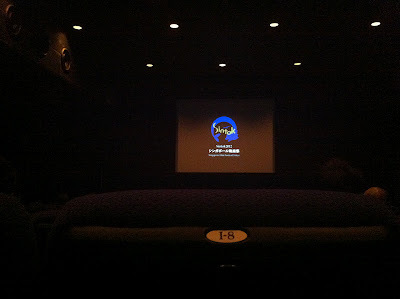 It showcased a strong and diverse line-up of contemporary Singapore films such as Boo Junfeng's Sandcastle, Ho Tzu Nyen's HERE, a comprehensive retrospective on the films of Royston Tan and a special showcase of the National Museum's Singapore Short Cuts series that span 10 years of Singapore short films from 2001-2011. 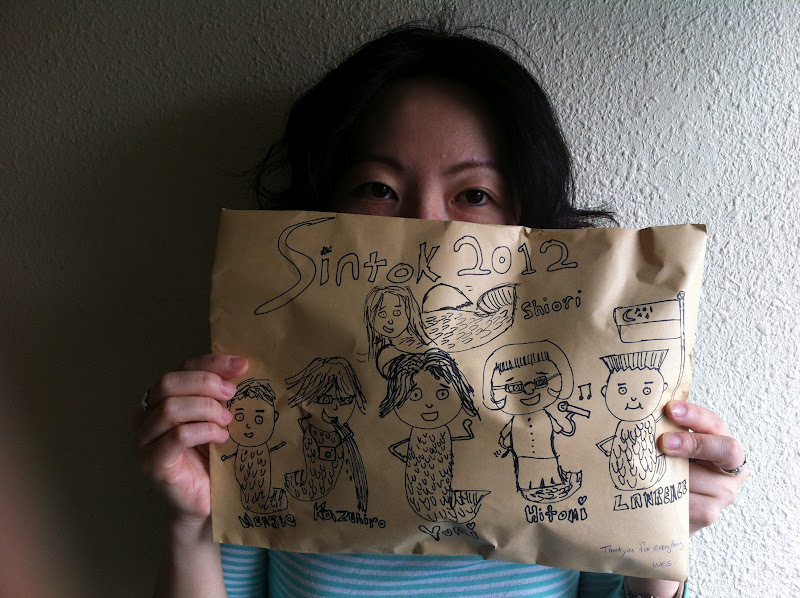 12 Lotus is the poster girl for Sintok 2012. It says ‘Now Owing’ though. Royston Tan also attended Sintok with the legendary Liu Lingling and performed a Getai show. 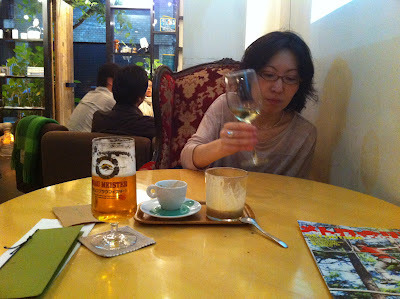 Sintok hosted me at a lovely place at Nakameguro, a lovely and friendly neighbourhood. 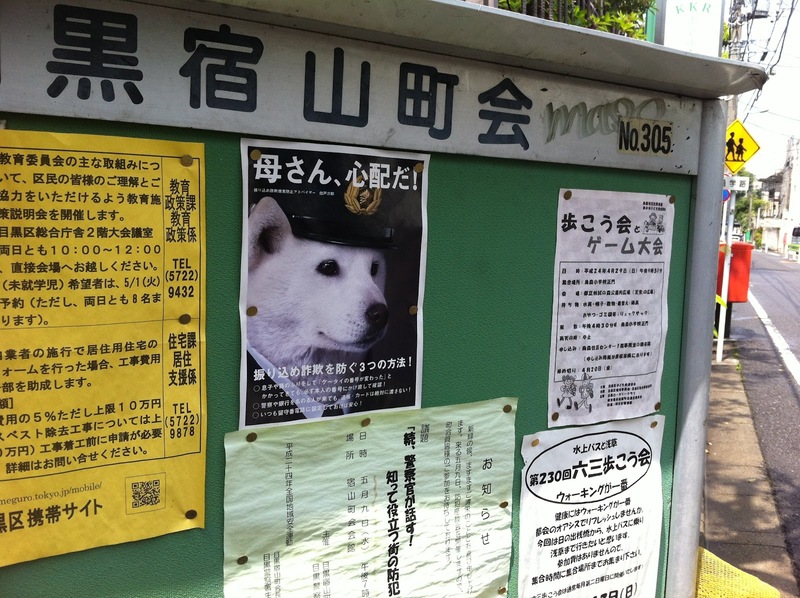 There I couldn’t help but notice a poster of a dog with a police hat. I wondered if it could be a police cop dog. But if so, then why would such a safe neighbourhood require the assistance of a police cop dog? 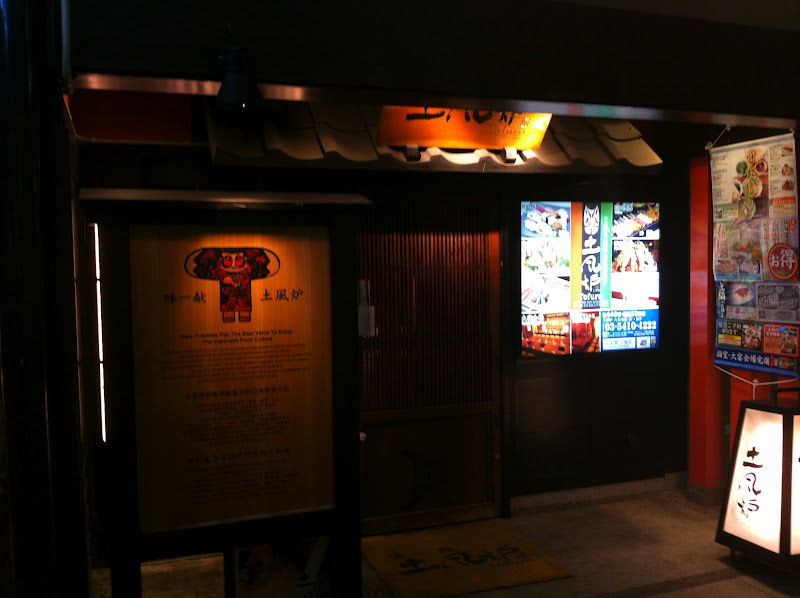 As I walked further down with my mind at unrest, I noticed another poster, which then put my frantic thoughts at ease. 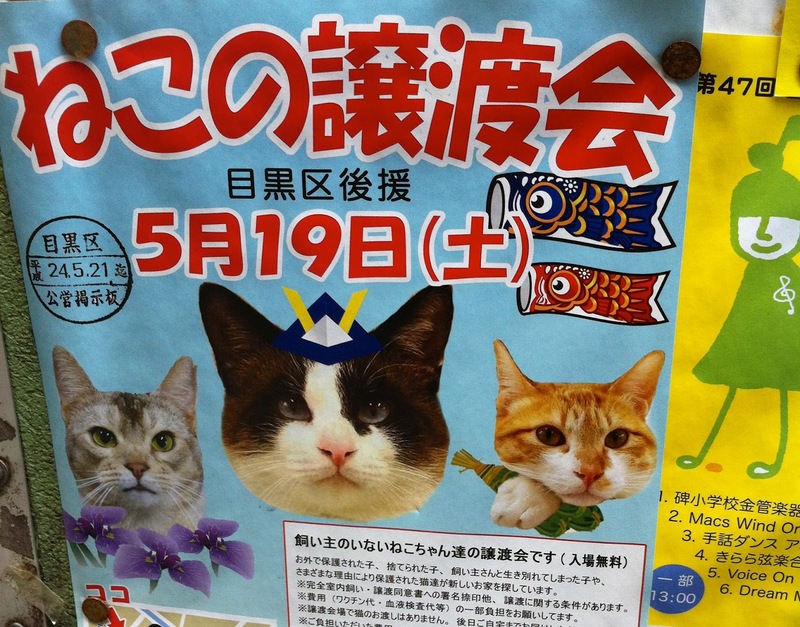 It was a poster of what looks like a ‘WANTED’ sign for three wild party cats. That’s it! The police cop dog must be looking for these cat punks in Nakameguro. Another puzzle solved! Good job, Detective Wesley-san. There’s always a buzz before a screening at Sintok where Sintok volunteers are busy with facilitating the event. There was even a mini-bazaar where 2nd hand Singapore films and film merchandise were sold and shared. I then met one of the Sintok volunteers who happens to be Namewee’s brother! He gave me a signed copy of Namewee’s film ‘Nasi Lemak 2.0’. 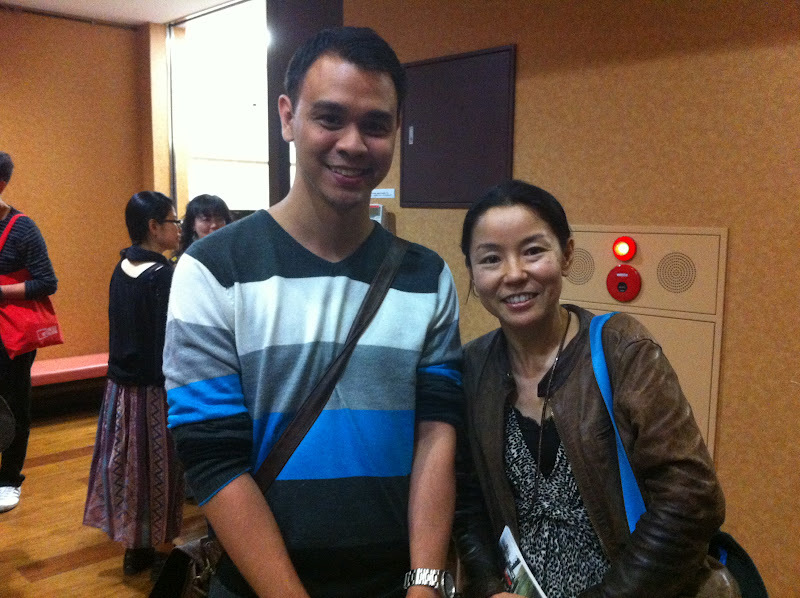 I was really touched when Akiko Yukawa of Tokyo Filmex came all the way down for Sintok to support me. She’s a really sweet lady. This is the awesome and knowledgeable Mr. Zhang Wenjie of the National Museum of Singapore at the Question and Answer with the lovely festival organizer and curator, Ms. Matsushita Yumi after the screening. 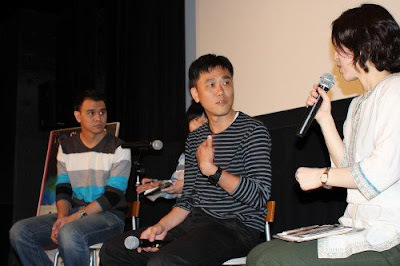 The Japanese audiences were very intrigued and curious with the glimpses of Singapore culture seen through the Singapore films and wanted to learn more. After the screening of the special showcase of the Singapore Short Cuts, another question and answer was carried out. 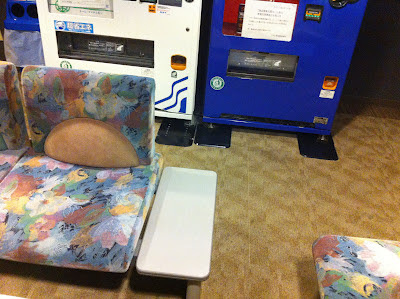 In my hotel, I noticed this sofa has a tummy. Is it a hungry sofa? It feels like another mystery for Detective Wesley-san to solve. The lovely Yumi brought me out for a drink and ice cream at a cozy local café called ‘Prata’. Yumi makes sure I am always well fed and safe during my stay in Japan. The Embassy of the Republic of Singapore then brought the Singapore guests out for lovely Japanese cuisine. 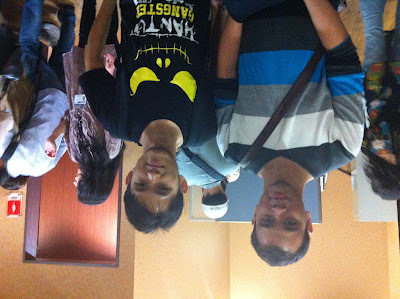 They are really nice people and are supportive of Sintok. This is Yumi holding up an illustration of just some of the many lovely people I had met at Sintok. Sintok is the most loving festival I have been to. 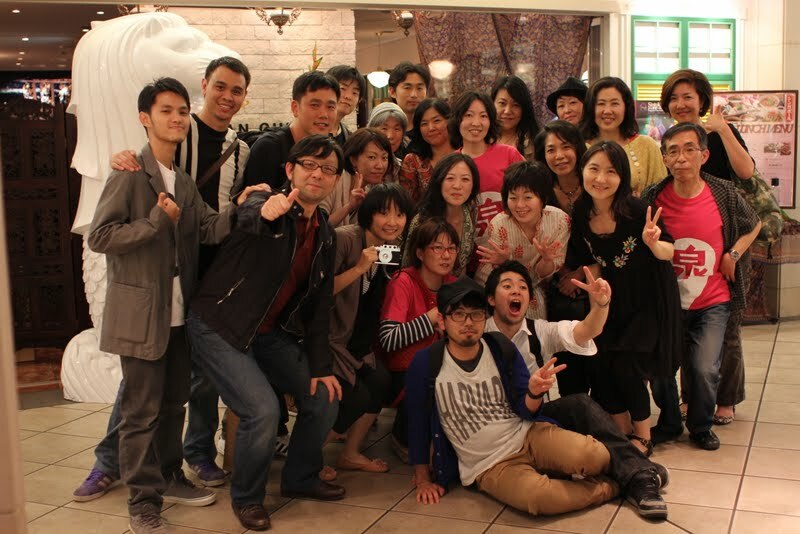 It was more like a family and it was heart warming to share Singapore films with the Japanese audience. Sintok may be a smaller scale festival, but in terms of heart, it’s definitely has one of the biggest. 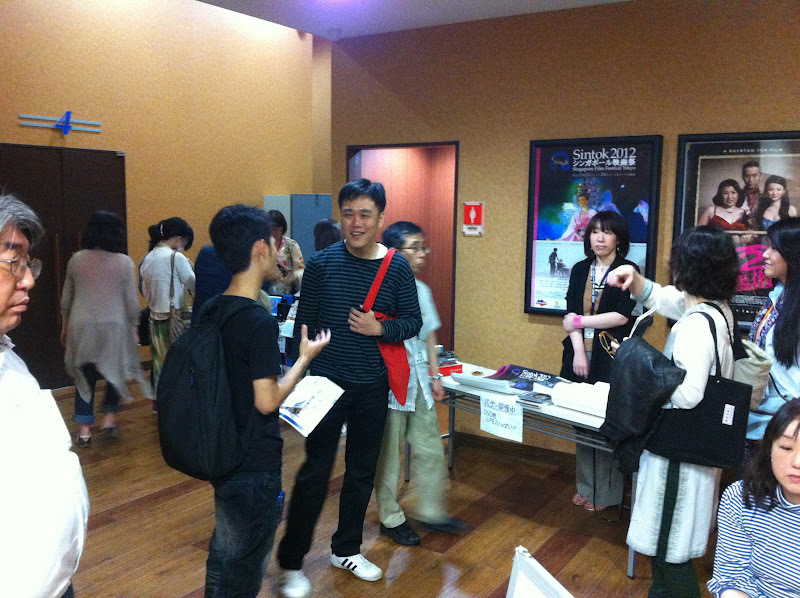 To support the festival, some local directors assisted in seeing to the waving off of screening fees. Sintok is only possible with help from various organisations, the hardworking volunteers, the main Sintok team consisting of Shiori Takeuchi, Hitomi Kawamura, Kazunori Ohguri and of course the most important, my idol, the passionate, kind and hardworking Ms. Matsushita Yumi. 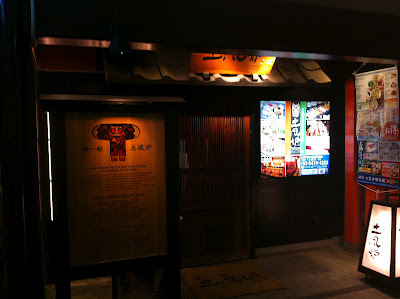 Cinema is a communal event and it brings people together and here at Sintok, the communal vibe was brimming. 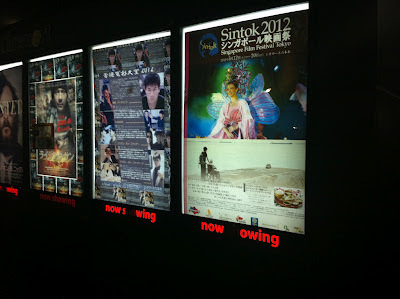 Just like The Asian Berlin Hot Shots, Sintok goes against all odds and is driven by passion. 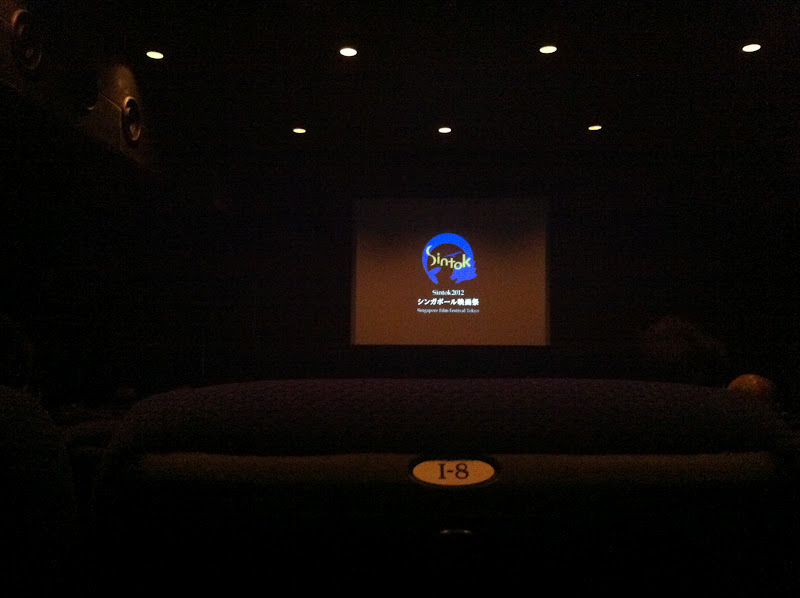 The passion to share films. The passion to experience films together. The passion for laughter, sadness and to learn about ourselves as we do of each other through films. As my plane lands in Singapore, my hope is for Sintok to continue to touch people’s hearts. And I hope many realize that films is not just about making a profit or having profitability. It is about the embrace and understanding of others. If you were with me in Sintok, you would feel the same way too. If we fail to realize this, our film culture might head down the wrong direction in the far future. To the bank instead of the Cinema. This article is contributed by Wesley Leon Arozoo, who visited the Sintok film festival in Tokyo in May.